Do you know what color paint "Votive" and "Red Rocks Red" are? Well, then come on down to The Green Project and check out our paint recycling center-- the only one in the Gulf South! 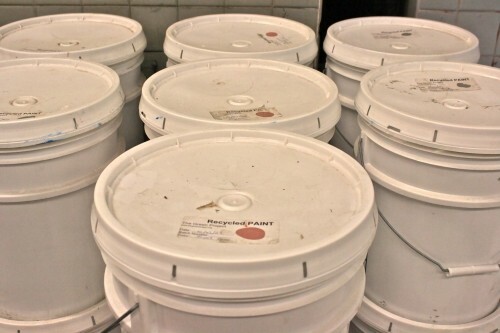 The Green Project resells oils, stains, and varnishes for $3 per commensurate gallon and our own recycled latex paint starting at just $5 per gallon. 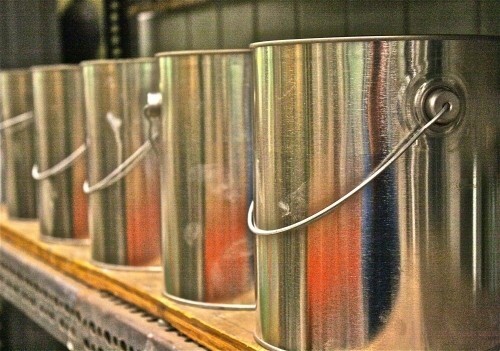 Our recycled paint has better paint coverage then many designer paints at a fraction of the price. Plus you can receive LEED points for your building when you use The Green Project recycled paint! What is The Green Project? We are a nonprofit building supply retail store in the St. Roch neighborhood. We resell donated building materials back to the community to keep these materials out of the landfills and to provide an affordable building alternative for everybody. The Green Project operates a warehouse, lumberyard, paint recycling center, electronic waste recycling drop-offs, environmental education programming, and is a founding member of The ReUse District. We're open every day from 9am to 5pm, so come on by.